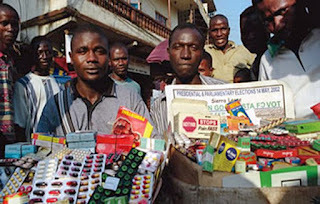 Pharmacists have said that the delay by the Federal Government in closing the open drug market places and full implementation of the National Drug Distribution Guidelines (NDDG) is deepening the rate of drug misuse and abuse in the society. The pharmacists who spoke under the platform of Association of Community Pharmacists of Nigeria, (ACPN), Lagos State branch, faulted government policy which promotes unrestricted access to medicines through the open drug and inadequate regulatory enforcement markets. Noting that this has remained the root cause of rampant drug misuse and abuse in the society, the community pharmacists added that the persistent postponement of the closure of open drug market places and full implementation of NDDG is worsening the situation. Pharm. 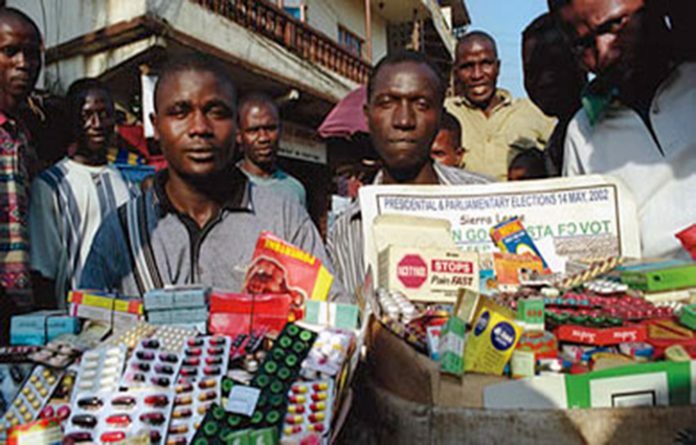 Abiola Paul-Ozieh, Chairman of the Association of Community Pharmacists of Nigeria, Lagos State branch (ACPN) therefore urged the Federal Government to keep to the December 2018 deadline for closing all open drug markets. Speaking during this year’s Annual General Meeting of the Association during which the Campaign against Drug Abuse in Lagos communities was relaunched, Paul-Ozieh charged stakeholders to take collective action to make the deadline realisable. She said; “As long as we have the open drug market places, as long as people walk into anywhere, hawk drugs, we will always have issues with drug abuse. You can imagine how many times closure of open drug market has been postponed; now we are saying by December it will be totally out. Re-launching war against drug abuse with banners that would be placed in all community pharmacies across the state, she stated: “Through the banners, we will warn the entire community that drug abuse kills. We want our youths to come out of drug abuse. Also speaking, Pharm. Deji Osinoke, Chairman, Board of Trustees, ACPN Lagos, raised the alarm that drug abuse has reached chaotic dimension in the country. He blamed the situation on what he described as ‘chaotic drug distribution. “You can see that everybody handles drug in Nigeria and drugs are special items and not like any other article. In Lagos for instance, registered pharmacies are not up to 70, but unregistered premises are over 2000. These premises are not being controlled. “If you are not trained, you will not know drug’s efficacy. Your own motive will just be to make profits. It is not good for the rest of the population. Drug abuse is becoming very rampant now, instances of drugs abused are codeine and tramadol. He said many people don’t even know they are abusing drugs. Most drugs being abused in Nigeria today include Codeine, an opioid analgesic also used in the management of pain and diarrhoea. Other opioid analgesics which are also sometimes abused include morphine, pentazocine (fortwin), tramadol and pethidine. Also, they may cause respiratory depression in large doses.